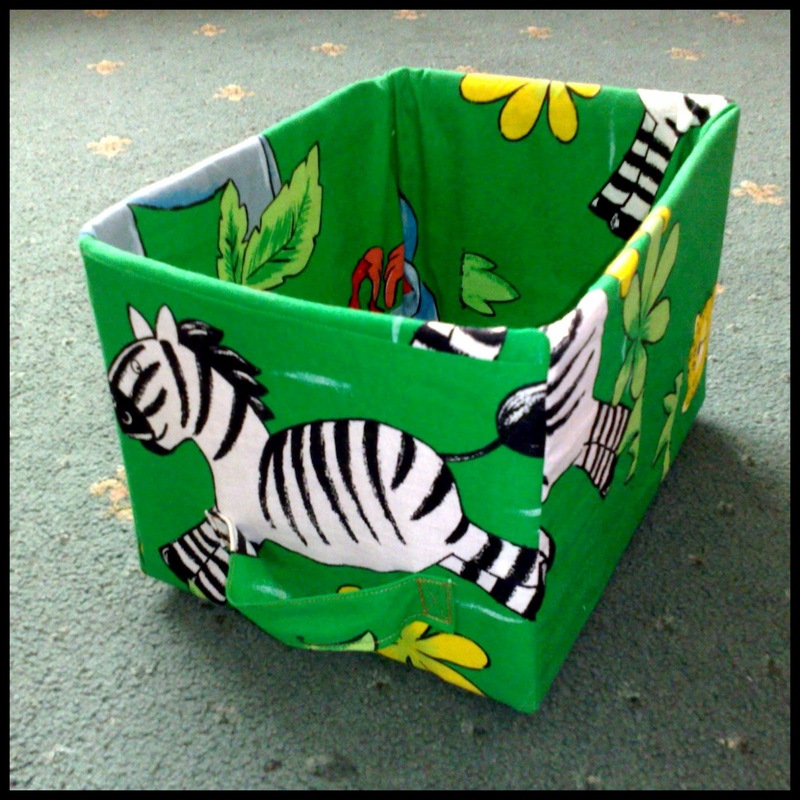 Fabric liners are great to cover wicker baskets or other storage boxes. 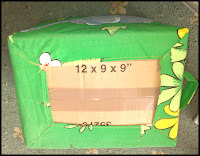 I have even made many fabric liners to cover plain cardboard boxes! I call them slipcovers, I don’t know if there is a different technical name for them. 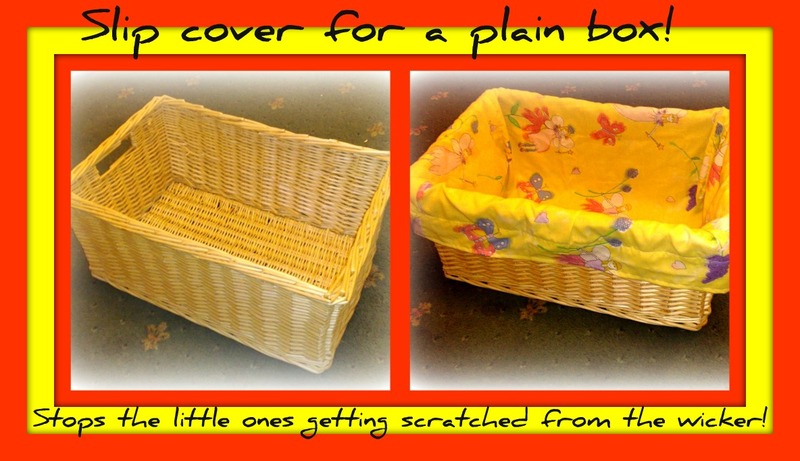 One of the photos above shows a cover I made for a wicker basket that was in my daughters’ room. She used it to keep some of her books in, but she kept scratching herself on the sides. Now she can use her storage box with no problems. I have made storage boxes out of ordinary cut to size cardboard boxes available free from many local shops. 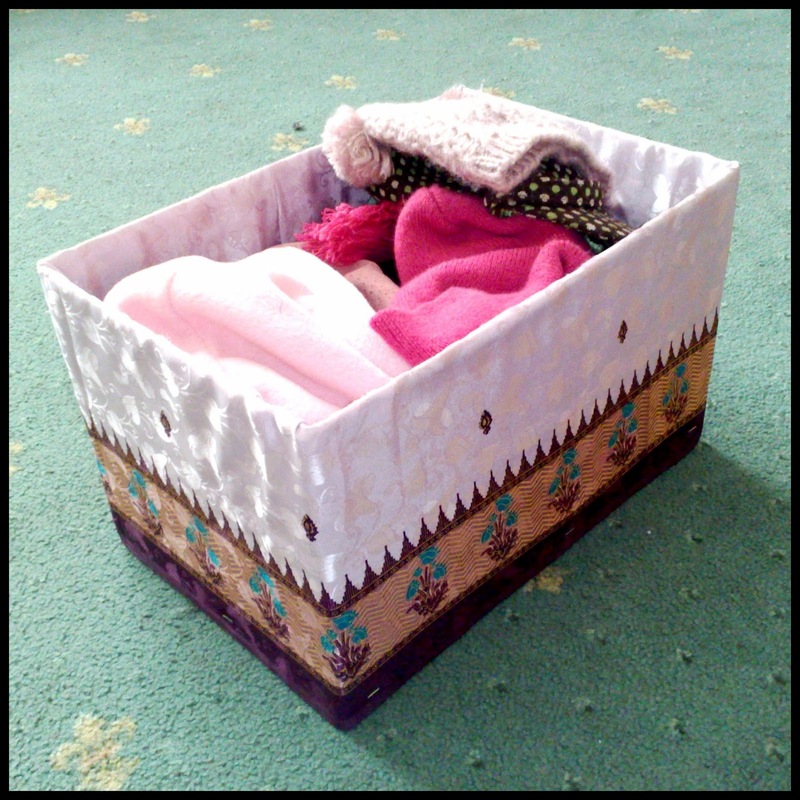 Once the box has been decorated with nice fitted fabric over it, you can’t tell that it is only a cardboard box. 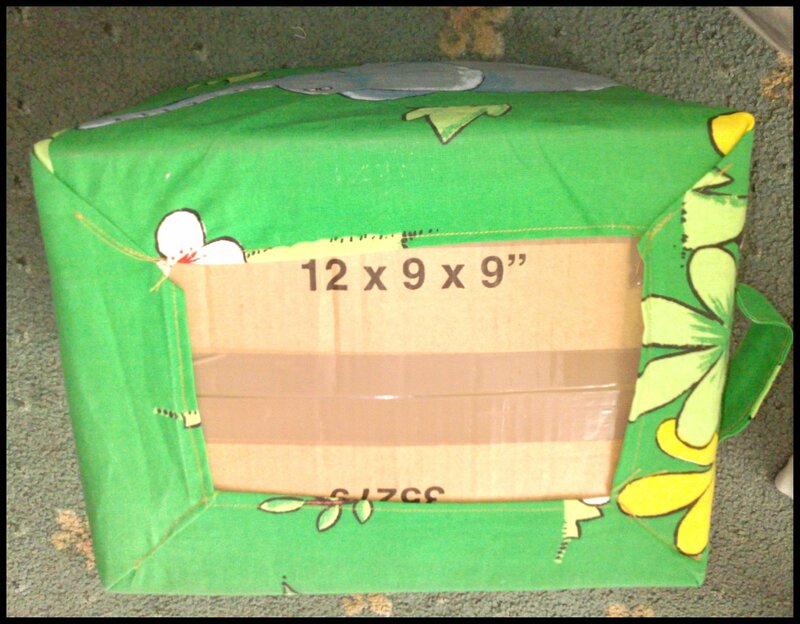 I normally strengthen the box side by putting parcel tape on the sides of the boxes to stop them from coming away, I learnt this the hard way! I use cardboard boxes a lot in my house for cheap and easy storage. I have one box (photo above) covered in a lovely purple satin material that I keep in the main hallway to store all the family’s hats. I also have some boxes to store under small tables for the kids toys. The photo opposite is a close up of one of the boxes that I use on the shelves in my son's wardrobe (see below)The photo opposite is a close up of one of the boxes that I use on the shelves in my son's wardrobe (see below). One of my biggest projects was for my son’s bedroom. 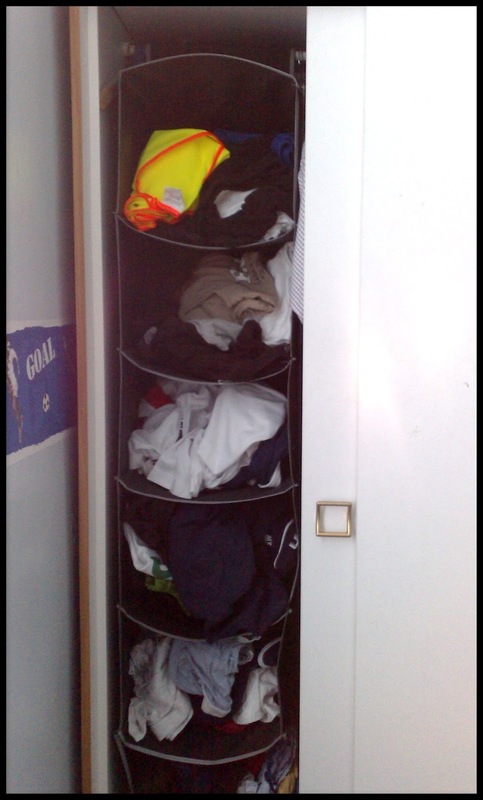 He had one of them 6 shelf hanging wardrobe organisers in his wardrobe. The only problem being every time he took out an item of clothing from one of the shelves, the other clothes would tumble on the floor and he would just scrunch them back into the space and whinge about it. After a visit to Ikea one day, I noticed that they had similar shelves with fabric covered drawers in them. The cost was a bit pricey for the whole lot and the boxes themselves were not the right size for his shelves. Then I thought why not make my own – so I did. I found a style of box that was perfect width and depth. The only problem was the height, but that was simple to fold down/ cut down to the right height. 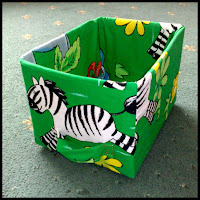 At the time he had a bedroom in a jungle theme, so I made drawers using jungle style material (upycled from curtains). For these drawers I made them slightly different from normal slipcovers. I made these covers so that they were a bit longer, so that I could fold the bottom underneath the boxes and hand sew them so that the fabric is secured to the boxes. This prevents the covers from falling off. 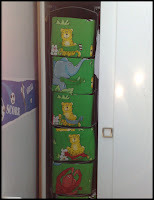 I also added handles onto the fronts of the covers so that my young son could easily pull the drawers out of the shelf. These are great and keep his clothes all neat and organized. 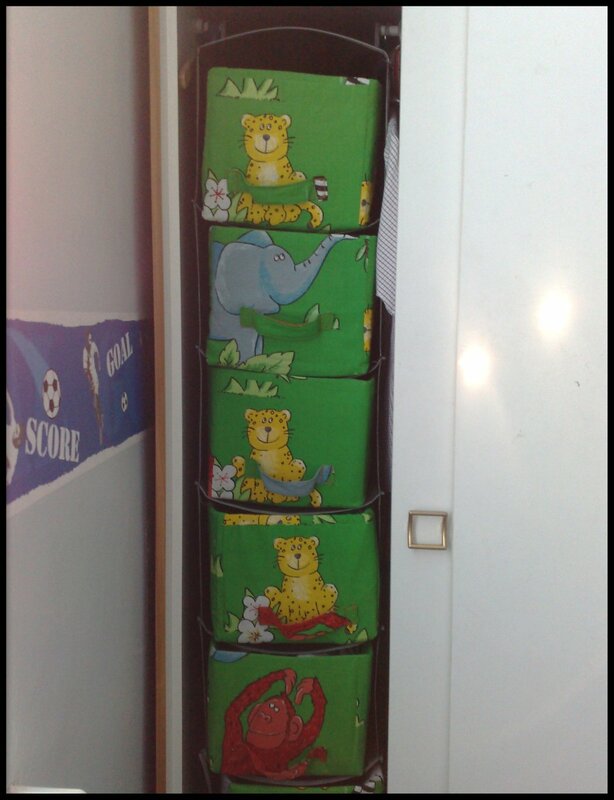 Even though he doesn’t have a jungle themed bedroom any more, he still has these boxes in his wardrobe. It goes to show that even though I made these drawers from cardboard boxes they can last quite a few years! I didn't manage to find a tutorial for this project, so I had to make my own design. 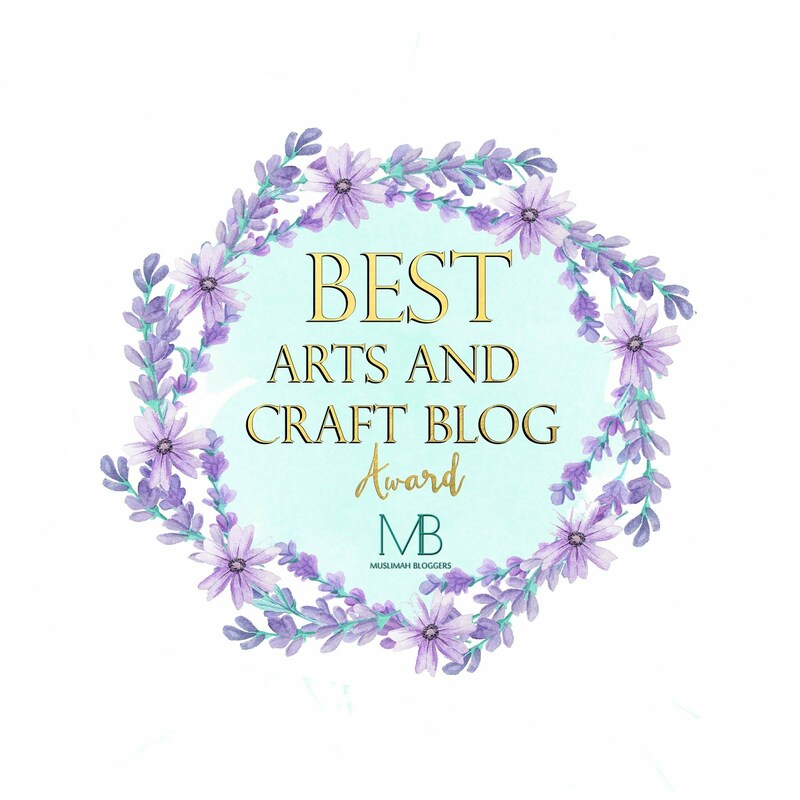 Just make sure that you measure all the sides of the boxes that you need material for and add a little extra for hems and then sew them together in a way that it will slip over the storage box. It would probably be helpful to draw your plan onto paper so that you know which sides need to be sewn together.